Don’t miss a highly inspirational weekend of wedding planning at the South West’s favourite wedding event, Bride: The Wedding Show, which is returning to Westpoint Exeter for its autumn edition on October 7 and 8, 2017. The show offers ideas, advice, the latest trends and live entertainment all under one roof where more than 160 local wedding experts will congregate. Brides can pick their photographer, speak to venue representatives, plan their honeymoon, taste cake samples, listen to local musicians and try on dresses – Bride: The Wedding Show will be sure to deliver everything you need to plan your perfect day. 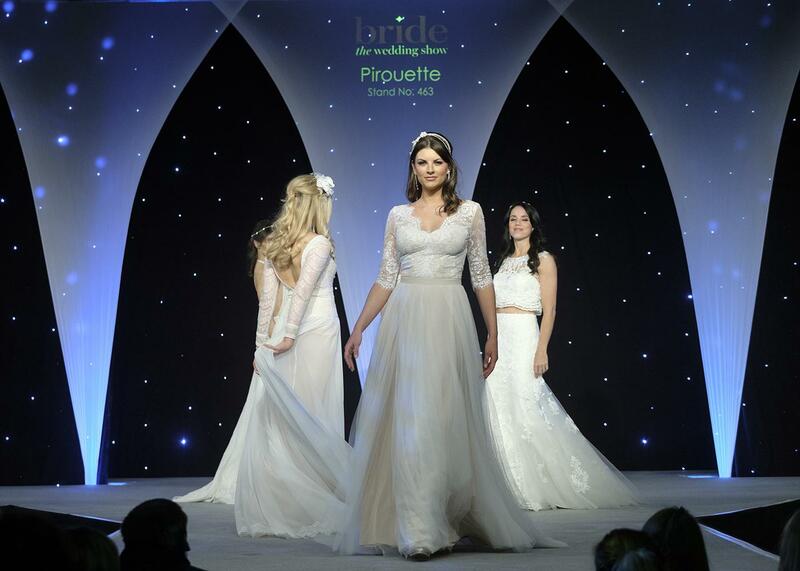 The spellbinding fashion shows will be staged three times each day on the catwalk at 11.30am, 1.15pm and 3pm. The unforgettable performances promise expert choreography, music, the latest fashions and a few surprises along the way. Beautiful bridal gowns by Sassi Holford, Prudence Gowns, The Ivory Secret and Kate Walker Bridal will be showcased, with fashionable bridesmaids’ dresses on parade from Jane’s of Torquay and the boys will be back styling menswear from Moss Bros and Youngs Hire. A visit to the café stage is a must where visitors can listen to the likes of Blue Lion Band, I Love Amp, Superstition Band and Double A & The Bay who are all performing throughout the weekend to inspire couples for their wedding party. There will be a marquee of wedding transport displaying, competitions to enter, show-exclusive deals and discounts plus a café and champagne bar – provided by Posh Nosh – which will be serving refreshments all day. Every bride can pick up a free copy of South West Bride magazine as well as an official showguide. The first 100 brides through the doors each day will be lucky enough to get a goody bag, packed full of treats, samples and favours to take home including confetti from Shropshire Petals, compact Bride hairbrushes, Portlebay popcorn and cosmetics.